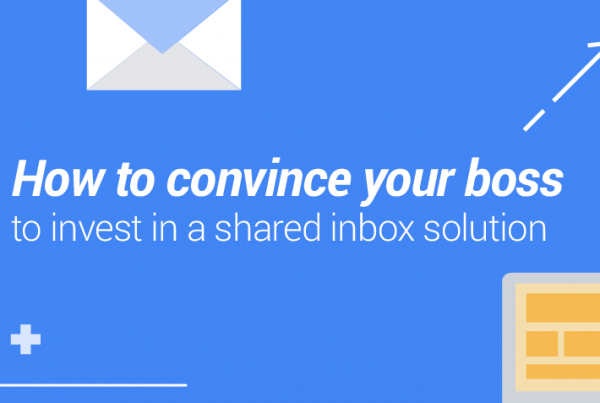 If shared inbox is a new concept for you, don’t worry. We’ve been speaking about it for a while, as you can see here. We love it, and think you should love it too. If it’s finally time for you to start using shared inboxes but don’t know which tool to go for, we have gathered a list with the top 5 softwares that provide shared inbox, so you can look up for each one of them and make your decision. Drag doesn’t want to simply centralize emails and tasks into the same place. It intends to centralize your team’s workflow, and do it in the place you spend most of your time: your Inbox. – Kanban: Turning your Inbox into Trello-style boards is the best way to visualize emails and tasks. Every message becomes a card in which you can assign (and share) things such as internal notes, reminders, checklists or an assigned team mate. Kanban in email just makes everything much easier to do. – Custom cards: Because of the Kanban view, Drag is able to bring so much more. Custom cards allow users to make up custom columns, fields and values in each card. This flexibility allows teams to manage CRM, Help Desk or Projects right from inside their Inbox. – Inside Gmail — As a Chrome Extension, Drag changes the game by making a shared inbox as simple as it can be, seamlessly integrated into Gmail. It means no need to leave your traditional way of working. – Share across different email addresses — Most of shared inbox tools were built for collaboration on shared email addresses such as help@company.com or sales@company.com. Drag allows teams to collaborate across different email addresses and even reply to each other’s emails. Although many people don’t know, Intercom provides a dedicated software for your emails. It’s not dedicated just for a shared inbox, it can help you with communication in your website, social media and chatbots as well. 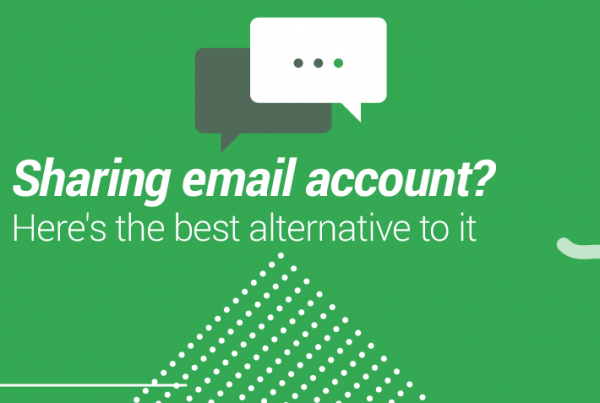 – Email Forwarding: their tool provides you a way to use any email into their platform: forwarding. So you need to forward an email and it will appear into the platform. – Lead profiles: this feature works to keep track of your leads while you communicate with them, so you know exactly who you’re talking to. – Tagging: tags help you finding information in a better and quicker way, so you don’t have to scroll infinitely to find specific information. Price: If you only need a shared inbox, it comes at $53/month. If you need all other features (chatbots and social media), price then rises up to $155/month. – Follow-up Reminders: it sets up reminders for when you have to send a follow up to specific clients, so you don’t forget it. – Collision Detection: if 2 people start working on the same email, it will send you an alert that this situation is happening, so you can solve the situation. – Analytics: it tracks your team, so you know who’s developing a better work and who needs some improvements (and in what area it is needed). Price: Starts at $15/month, but if you want to add more than one connection, you may be inclined to pay their premium price, at $29/month. – Saved Replies: you don’t have to start your email from scratch every time, there are some templates ready to use. – Bulk Emailing: if you’re either prospecting, or helping many customers with the same problem, sending emails in bulk is quite useful to save time. Price: 15-day trial. Plans start at $15/month, but is very limited. If you want to really use it, there’s a standard plan at $25/month. If you want to unleash all their features, price rises up to $40/month. 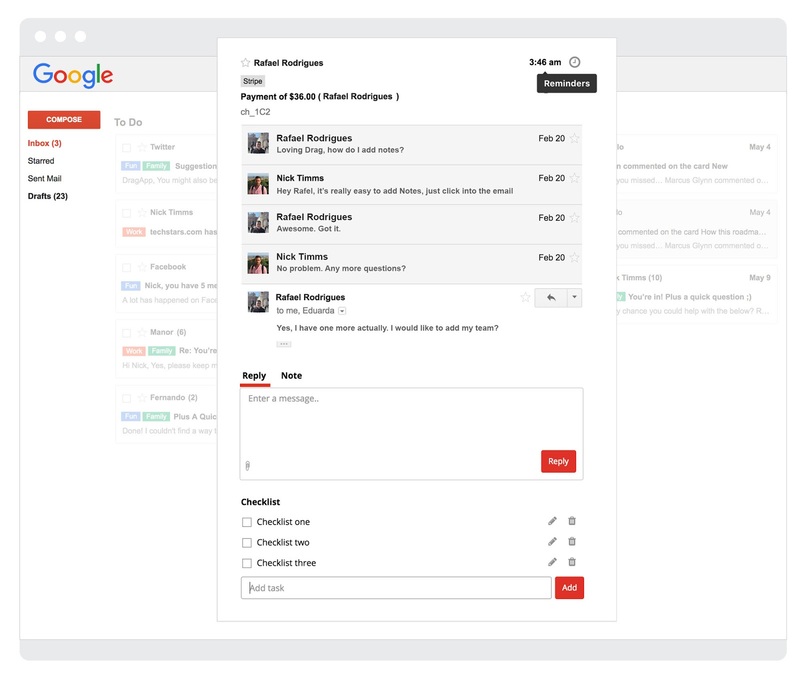 Hiver is a Chrome Extension that allows teams to collaborate in Gmail. – Internal Communication: so your team doesn’t need to exchange emails internally all the time. – Collaboration in Drafts: sometimes you and a peer need to work together when writing an email perfectly. It becomes possible with collaboration in drafts. – Collision Alerts: if 2 people start working on the same email, it will send you an alert that this situation is happening, so you can solve the situation. Price: 14-day trial. Premium plans start at $14/month, full features cost $34/month. All softwares shown have their value. You must have a look and see what works best for you — and what is the relation of cost/benefit in each of them. The most valuable thing is to see your team’s productivity increasing, so your company can rise incredibly fast. You can be assured that all five softwares want this for you. Just like this article, you’ll get real-time updates on what’s happening, what’s working and how it feels in a startup. 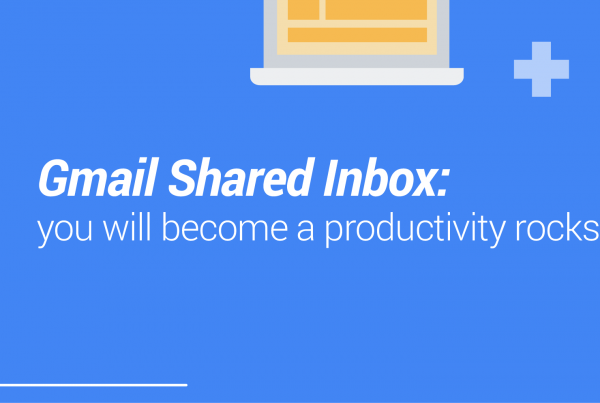 Gmail Shared Inbox: you will become a productivity rockstar!